The Smoking Cessation Program at the Sunset Country Family Health Team is open to all patients 18 years of age and older who are rostered to a SCFHT physician. This program provides a systematic approach to assist patients who are interested in quitting smoking. An initial in-office appointment analyzes smoking and quitting history, smoking cessation medication options, and quit plans are developed. Follow-up supportive care counselling is provided by phone. The SCFHT participates in the STOP with FHTs Smoking Cessation Program. 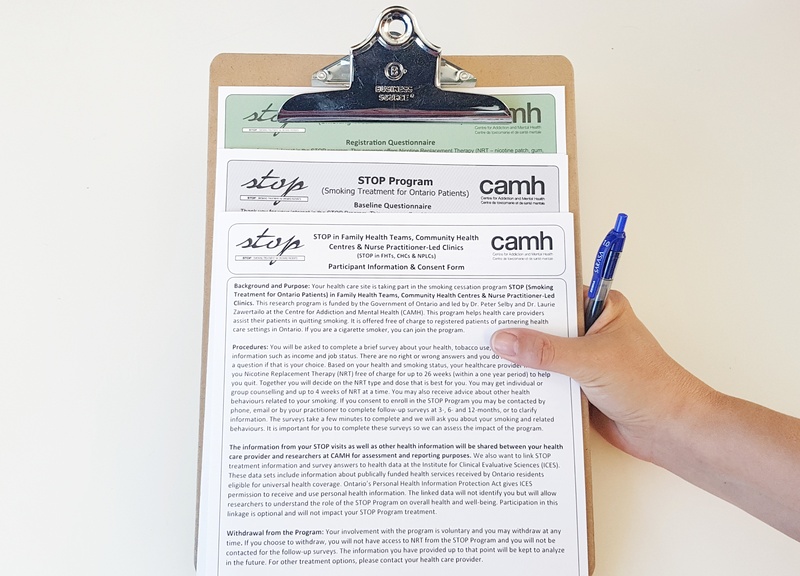 With funding from the ministry of Health Promotion, Family Health Teams across Ontario have the opportunity to offer free Nicotine Replacement Therapy (NRT) to smokers who wish to quit. The NRTs are available in patch, gum, lozenge and inhaler form. Regular supportive counselling is provided to maximize the chances of successfully quitting smoking. Research has shown that the use of NRTs and counselling can double or triple the chances of successfully quitting. Smokers who wish to quit are encouraged to speak with any member of the SCFHT for more information. Patients can be referred to the program by their physician, nurse practitioner, other health professional at the SCFHT, or by self referral. Quitting smoking is the single most important step smokers can take to improve their health.